OurScreen - People Powered Cinema - earn £100! 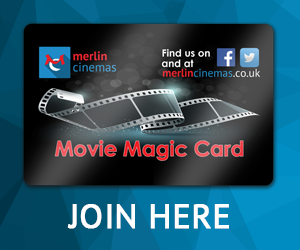 Meerkat movies is the exciting new reward for customers of comparethemarket.com, offering 2 for 1 Cinema tickets every Tuesday or Wednesday for a whole year when you buy qualifying product*. Available at all Merlin Cinemas online, by phone, or in person at the cinema. Highest price ticket must be paid for. Your movie magic discount is still accepted, but the cheapest ticket will be processed as the free ticket. No other deal can be used in conjunction with Meerkat Movies. One meerkat movies code is valid for one free ticket on either Tuesday or Wednesday. Pre booking is available. Subject to availability. Download the meerkat movies app or visit comparethemarket.com to login and set up your comparethemarket.com account and activate your membership to claim your voucher code. 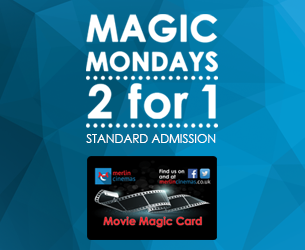 You have one voucher code to use every Tuesday or Wednesday at any participating cinema. Present your two-for-one voucher code to the cashier and enjoy the film.